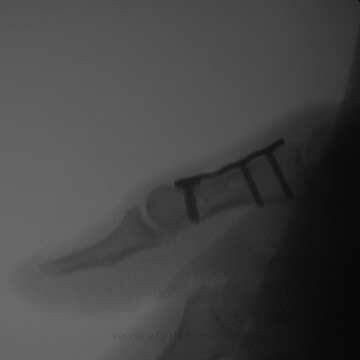 No difference between Kirschner wire and lag screw fixation (Horton TC, J Hnd Surg BR 2003;28:5). 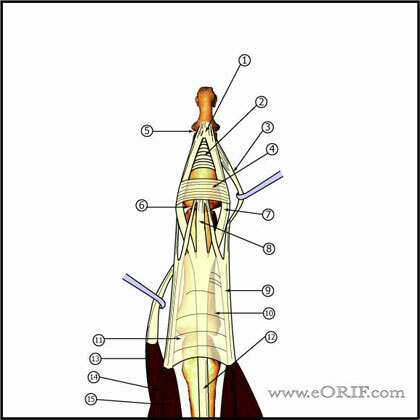 Bicoritcal screw fixation has demonstrated good outcomes (Roth JJ, J Hand Surg 2005;30A:151). 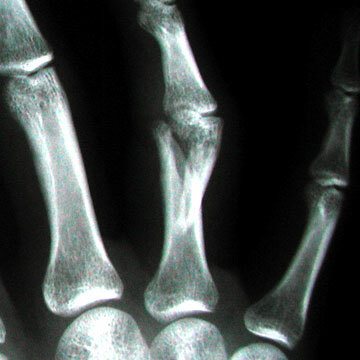 7-10 Days: xray to ensure reduction is maintained. Continued splint, activity modifications. 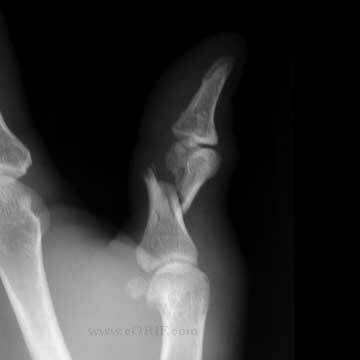 Immobilize as few joints as necessary. Begin ROM as soon as fixation strength with allow. 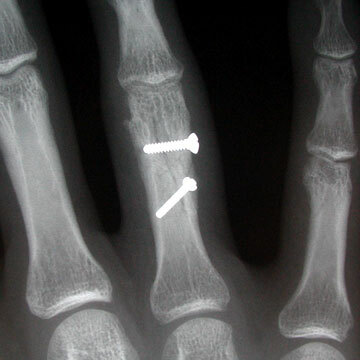 6 Weeks: Remove k-wire, wean from splint use as soon as callus is visible on xray. Continue activity modifications. Agressive ROM. 3 Months: Resume full activities. Assess ROM. Consider flexor/extensor tenolysis if tendon adhesions fail to improve.